You need to know the reason why you are still fatigued and exhausted, even though you get a night's sleep. Whenever problems develop with the thyroid gland, it can manifest with many different signs. The thyroid is a gland that is located on the front of the neck and manages how the body melts away energy and makes proteins. It truly is one of the most significant hormone-producing glands within the body, and problems arise often in women than in men. So in today's article we will look at the most frequent symptoms people can endure when they have thyroid problem. 1. Fatigue - It is one of the most frequent symptoms for problems with the thyroid gland. Since the gland manages our energy level, there is also a chance that it is acting up when we always feel tired or lack energy. 2. Weight Gain or Loss - Putting on weight or weight loss can even be associated with thyroid problem. Our metabolism is also regulated by our thyroid gland, so any sudden gain or loss in weight can be attributed to problems with it. 3. History of Thyroid Disease - Thyroid problems often run in families, if you have a hyperthyroidism problem, you should watch your thyroid health more closely. 4. Mental/Emotional Trouble - Changes in your mood starting from depression to stress and panic attacks can all be related to thyroid problems. 5. Cholesterol Problems - Lipid disorders changes, high or low, which do not react to medications, or changes in exercise and diet adjustments, may be triggered to thyroid problems. 6. Skin and Hair Problems - Hair could become frail, coarse, or even fall as result of a thyroid problem. Pores and skin might also become dry or scaly, or in severe instances even become slender and tender. 7. Irregular Menstruation - Women with thyroid disease may experience heavier, more painful periods or lighter menstruation. 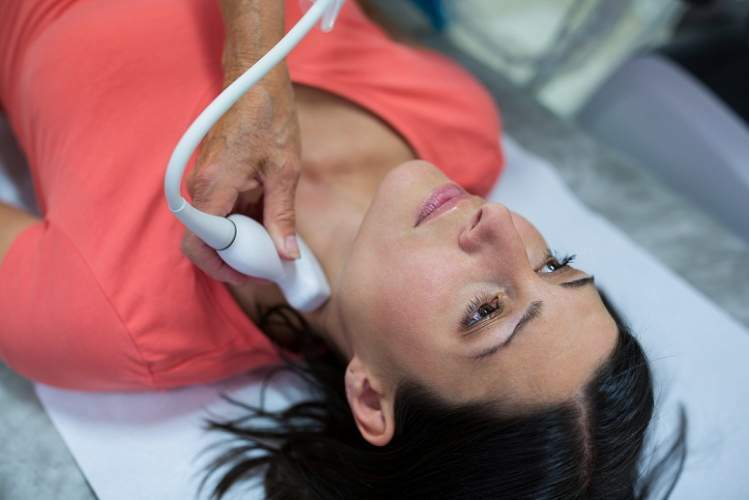 Thyroid problems can also lead to infertility or miscarriages. 8. Neck Discomfort or Enlargement - Swelling or discomfort of the neck, and enlarged thyroid gland are also signs of problems. Having this indicator can be considered a sign of thyroid cancer, goiter, and thyroid inflammations.